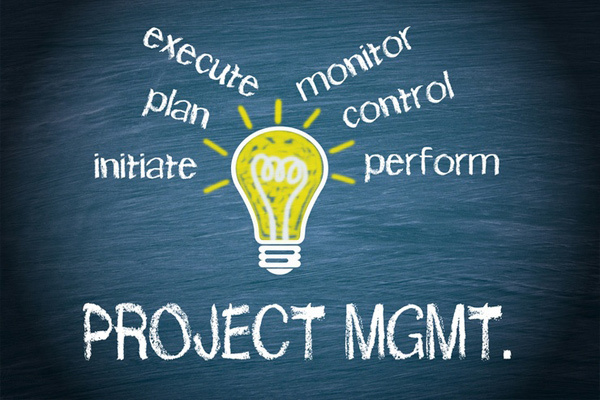 In recent years, use of the term ‘Project Management’ has increased manifold. Project Management skills are most commonly understood as being a tool that is utilized to define, plan, and execute a series of steps & processes to create something that can be of some help in the future. However, the utility of project management as a technique for personal development is often ignored. As with our professional life, there are occasions in personal life that warrant deployment of project management skills in order to successfully complete tasks. Getting yourself acquainted with few project management skills will help you overcome obstacles that may have seemed insurmountable. This article runs through the most important project management skills & offers tips on effectively applying them at work as well as in personal life. Project managers need to communicate on a daily basis, whether in meetings, calls, or emails. It is believed that successful project execution depends heavily upon the project manager’s communication skills. If you don’t know how to interact with your team effectively, you will be unable to monitor the progress of a project. Effective communication with clients to better understand their needs is important, as projects would otherwise never take off the ground! Maintaining open, regular, and accurate channels of communication with everyone in your team is essential for the proper flow of instructions from the customer to the staff who will execute. This will also help in making changes to the plan if any warnings or risks are encountered. Effective communication with clients to better understand their needs is important, as projects would otherwise never take off the ground! Maintaining open, regular, and accurate channels of communication with everyone in your team is essential for the proper flow of instructions from the customer to the staff who will execute. This will also help in making changes to the plan if any warnings or risks are encountered. In your personal life, communication is the basis of any successful relationship. An inability to express yourself properly will lead to serious problems on the domestic front. Listening is also an important part of communication. Though technology has opened up new options for communication, it is always better to have face-to-face conversations with people around you. Time management is on everyone’s to-do list at the start of a project. Every task in a project is time-bound and if not kept under check, tasks can exceed their allotted time frame, & bloat budgets. Time management is, therefore, at the very top of the list of project management skills. Avoid having too many meetings (that are sometimes unnecessary), many casual office conversations, micro-management, conflicting priorities, & work overload. Eliminating these, as well as delegating responsibilities effectively, overcoming procrastination, making quick decisions, having effective meetings, will make you manage your office time better. In your personal life, you will face situations when you are left with no time to complete key tasks. Thus, time management is important in your life as well. Creating to-do lists, focusing on one task at a time, maintaining work discipline, avoiding rushing with work –these simple rules will help you manage your time better. Human psychology is such that if there are too many tasks at hand, the brain generally tends to lose its way in accomplishing these tasks. That’s precisely why project managers need to organize their work better; else they will have a situation in hand! Even on the personal front, it is very difficult to complete tasks if you are not organized. In order to organize the work, your thoughts need to be organized. You need to have a routine set in your mind and follow it accordingly. The best way to do so is by listing down all the big, important tasks. Then break these tasks down into smaller chunks and try to successfully complete each of these tasks, one after the other. This way, you will have a clear idea of the tasks at hand, and can easily delegate tasks to others at work. In personal life, you can begin with one task at a time, and keep a checklist to track the completed ones. Click here to register for our PMP or PRINCE2 E-learning course now. Project managers come across problems with each project, on a daily basis. It is observed that by building problem-solving practices into the projects that you manage, you ensure your team promptly deals with the problems. Being a go-to person for identifying problems and solving them is a plus for project managers. At your workplace, you need to perform a root-cause analysis of the problem. This will not only expose the current problem but also highlight other issues linked to it. Once the root cause is understood, the next step is to evaluate all possible alternatives and then arrive at a solution. Once you find the solution, evaluate if the problem occurred due to the process that is in place or due to error on the part of a team member. Find relevant solutions in both the cases. In your personal life as well, you will encounter problems that have a knock-on effect. You need to find quick, practical, and creative solutions to the problems that you have encountered. There is no right or wrong way of solving a problem. It is just a matter of making things right. Problem-solving skills will help you develop composure, self-esteem, and self-confidence. Being a team player is important, irrespective of the role that you are in. And being a project manager, having good team dynamics will help you in the long run. Tasks cannot be kept pending for a long time, and working as a team will help you achieve those targets smoothly. Also, while delegating work to team members, bonding among team members helps a lot. Work doesn’t suffer while working as a team. Team members will have a limited workload as the work is shared with everyone. In your personal life, when organizing events like weddings, parties, and even get-together, working as a team always gets the job done quickly, & also helps in building long-lasting relationships. One of the key factors to achieve success in a project is getting the budgeting right, and, in turn, achieving client satisfaction. As a project manager, you must closely monitor daily budgets, timelines, and resources to ensure the project budget doesn’t blow up. Therefore, it is essential to maintain a tracker that will keep you updated with the project status at any given time. If you are new to the role of project manager, you will have to carefully allocate budgets to all the sub-tasks in the project. Good budgeting skills will help you keep track of personal expenses and income. You will be in a better position to utilize your resources and may even end up saving some money for a rainy day. With the few project management skills explained managing projects become a little easier. If we didn’t mention any project management skills please feel free to include it in your comment. Looking forward to learning from you too. Considering investing time, effort, and money in a PRINCE2 Certification, to launch a career in Project Management? Read on for a list of the top ten reasons why thousands of professionals the world over take up the PRINCE2 Certification exams, every year! PRINCE2 which in full is Projects in Controlled Environments is a project management method for managing projects of any type and size. PRINCE2 Certifications are among the most popular Project Management certifications across the world. PRINCE2 is the world most popular project management certification with 1 million exams taken globally. Although PRINCE2 is most popular in the UK, the qualification is increasing in popularity in other regions of the world. There are many reasons to do a PRINCE2 certification. Some are obvious, others are not and sometimes it’s just a requirement for an employer to get certified in PRINCE2. Join the list of people to get our PMP/PRINCE2 training for almost free. Click here to register now. The main reason also confers the most obvious benefit: a much-improved Project Management skill set. With PRINCE2 training, a professional learns and begins to deploy better, more efficient Project Management skills. You’ll learn the methodology, terminology, framework, common systems, and procedures used by a large number of project managers, and learn all the skills needed to successfully plan, initiate, monitor, manage, and execute projects. PRINCE2 certified professionals generally follow a methodology that is an alternative to PMP, and knowledge of both sets of best practices grants them greater flexibility and versatility. 2. PRINCE2 is More a Methodology than an Instruction Manual! Unlike other Project Management certifications ( i.e. PMP, IPMA ) PRINCE2 lays greater emphasis on the set of Project Management principles it encompasses than upon following an instruction book with a rigid set of rules. As a technical reference guide, it explains all the processes and stages of a project and the roles and responsibilities associated with it. It will not tell you how to micromanage the next task in your project but will make sure you really understand all project principles and processes and how to manage them. With this, you will be able to easily tailor all your PRINCE2 projects to suit your needs and closely oversee all the projects you manage. When choosing a certification, the time commitment to study and prepare, the costs involved, and the disruption it introduces into other areas of your professional life are crucially important factors to consider. PRINCE2 offers the unique advantage that you can start by preparing for the PRINCE2 Foundation exam only. This means that you can do a real Project Management certification without committing yourself to a huge amount of training time and high costs. Also, while doing the PRINCE2 Foundation certification, you will get a full overview of what to expect when you decide to continue with the PRINCE2 Practitioner certification and beyond. This makes the early phase of launching a Project Management certification career significantly easier. 4. You Get A Certificate In Hand Sooner Than With Most Other Exams! Once you have completed the training, all you need to do is take the exam with your training provider or take a public exam. There is no time consuming and complicated registration processes and no audit process of your application is needed, as it is, for example, when applying for the PMP exam. 5. PRINCE2 Certified Professionals Earn The Big Bucks! PRINCE2 certified project managers earn an average salary of over GBP50,000 and are among the most prized professionals in Europe. Your PRINCE2 certification is globally recognized. Developed in the public IT sector under the supervision of the UK government, PRINCE2 is today the de facto Project Management standard in many parts of the world. Governments, public and private sector companies all over the world are using it today, and its popularity continues to grow around the world, including in the USA, Asia, and Africa. AXELOS Ltd., which is the body that owns the rights to the PRINCE2 certification, issued a white paper in 2009 called “Using PRINCE2 to Manage US Federal Government IT Projects ” to support the increasing demand in US organizations. So this certification gives you the option to take on project work internationally. 7. PRINCE2’s Take On Project Management Sits Better With Many Organizations! Unlike in other Project Management certifications, the project manager in PRINCE2 is not the sole hero and superstar of the project. Roles and responsibilities in PRINCE2 projects are clearly defined and shared within the project organization. So even if the Project Manager obviously always plays an important role in a project’s success or failure he is not the only one to blame if things go wrong within a PRINCE2 project. Besides, the shared roles and responsibilities in a PRINCE2 project support its success and minimize the chances that a project will fail. As PRINCE2 is a Project Management methodology, it is not tied to any specific industry or organization type. You can use it in any type of organization, in any industry and in projects of any scale. This expands your possible areas of project work widely. If you have just started out in your project management career or you are looking to pursue Project Management, then the PRINCE2 certification will add tremendous value to your resume. BECOME A PMP OR PRINCE2 PROJECT MANAGEMENT CERTIFIED PROFESSIONAL WITH OUR E-LEARNING DISCOUNTED TRAINING!! FOR JUST N20,000 ONLY (N5,000 FOR NYSC CORPS MEMBERS)!!!. Click here to register now. Project Management Professional (PMP Certification) is a globally acknowledged professional certification in project management that validates a professional’s education and experience in project management. This coveted credential is offered by the reputed Project Management Institute to professionals who qualify in the PMP Exam conducted by the PMI. PMP is one of those credentials whose reputation precedes them. Nevertheless, here’s a few reasons you should consider getting a PMP Certification. PMP is recognized and sought-after the world over (there are more than 450k PMP certified professionals worldwide – Source) Clearing PMP exam and achieving a PMP Credential would thus help a professional showcase their skills and expertise to potential global employers. PMP holders witnesses a dramatic and steep hike in salary, with the certification. On average, PMP certified professionals earn 17% more than their non-certified counterparts, according to the Project Management Salary Survey, Eighth Edition. Further, new research from the Project Management Institute, suggests that 71% of project managers saw an increase in compensation over the last 12 months. PMP certified professionals earn a median salary of $110,000 a year. Holders of the Project Management Professional certification from a global close-knit community, with a plethora of Project Management fora, discussion boards, and online communities attracting PMP professionals from across the world, willing to share tips, insights and pool their experience, thus staying abreast of latest developments and trends in the industry. 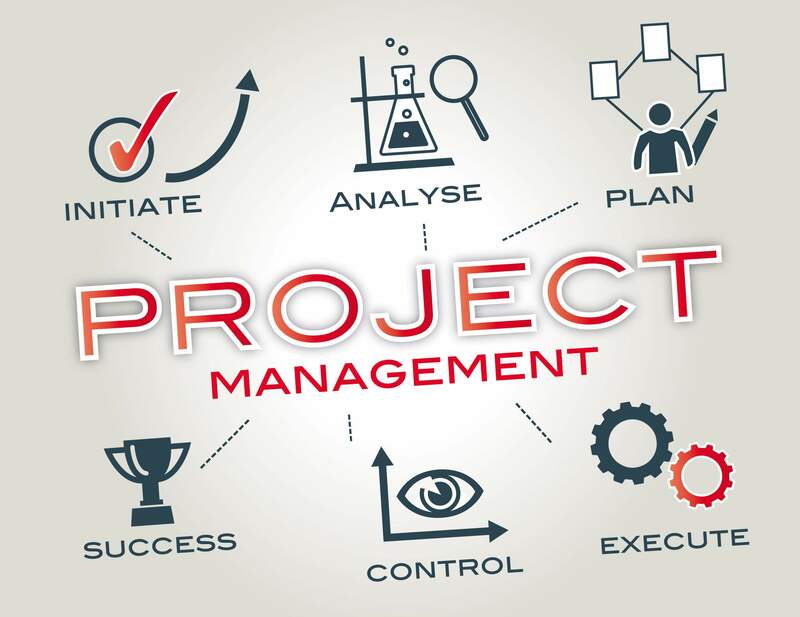 According to a PricewaterhouseCoopers survey, 80% of high-performing projects use PMP credentialed project managers, and, according to the PMI Pulse of the Profession study, organizations with more than 35% PMP certified project managers demonstrated much better project performance. Thus, PMP Certification opens up better career avenues and provides professionals with greater job opportunities in the project management world. PMP Certification earns a professional challenging and important industry since it demonstrates one’s dedication towards project management and showcases the required knowledge and experience to handle challenging projects. Besides, as the PMP Exam eligibility criteria include both education and experience for project managers, a PMP Certification validates one’s skills and experience leading and directing projects. Not all Project Managers are PMP certified and, consequently, project managers who lack the credential perform less efficiently than their certified peers. The standards for the rigorous PMP exam are higher than other PM certifications, and it tests professionals on all five project management processes – initiating, planning, executing, monitoring & controlling and closing, providing the Project Manager with a detailed, standardized, actionable set of project management best practices drawing from all five processes. Further, a professional needs to be aware of all nine knowledge areas of project management, including project scope management, integration management, human resource management, time management, cost management, quality management and procurement management, with in-depth knowledge in order to qualify for the PMP Exam. This enhances their project management skills immensely and allows the project manager to tackle all manner of projects with consummate ease. Research across industries suggests that organizations prefer hiring PMP certified project managers to their non-credentialed peers. PMP certification is a standard that demonstrates a professional’s expertise in project management and it immediately catches a recruiter’s eye, during profile evaluation. PMP is an ideal bet for all project managers in various professional fields, including IT, telecom, business processing, commerce, finance, research, and more. Having certifications on a resume is seen as a huge advantage for candidates looking for job and recruiters alike, today. An increasing number of candidates has started enrolling for certification courses (such as PMP. 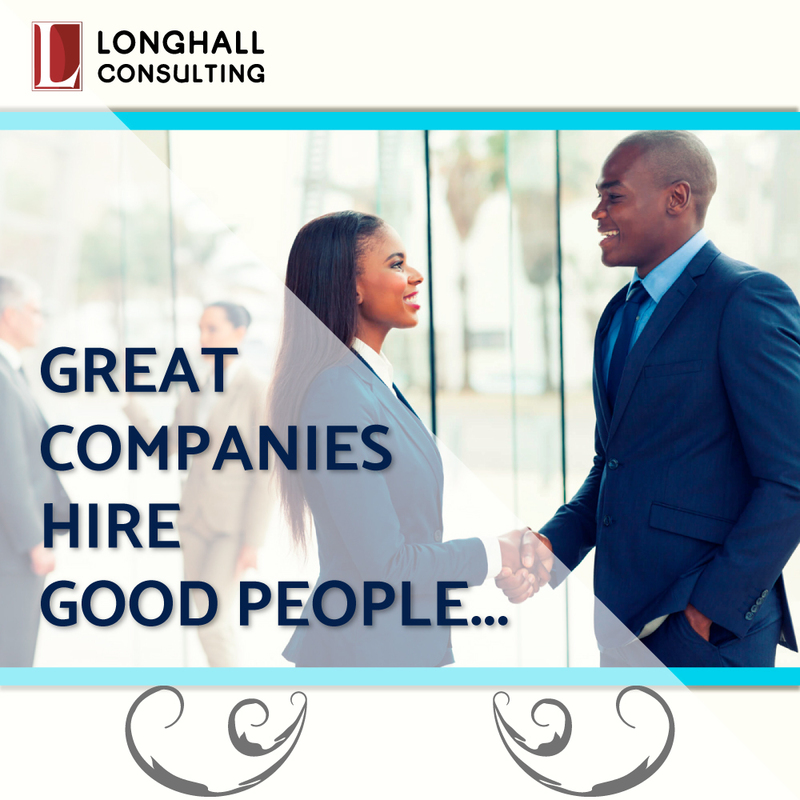 PRINCE2 etc) to spice up their resume, add immense value, demonstrate proof of their commitment, and set themselves apart from their peers so hiring companies would prefer their resumes to noncertified professionals. The principal draw of a PMP or PRINCE2 continues to remain the high salaries it offers. Aside from the salary factor which is a key factor also mentioned, what else can a PMP or PRINCE2 certification do for you? Can it guarantee a job in this highly competitive world? Are you looking to take up the PMP or PRINCE2 certification, but have these questions running through your head? Read on as we answer all your queries, and put your doubts to rest! Because the certification is universally recognized, there are certain prerequisites that one must fulfill to attain the certification. Attaining these prerequisites is something that is held in high regard by most employers because it takes time, effort and commitment. If you are already in the field of project management and have all the necessary experience with a proven track record of your work, a PMP certification will take your career to the next level. The reason is that most often recruiters use the certification to narrow down their candidate pool. Industries value these certifications because of its ability to adhere to the strictly defined processes and the skills that are possessed and put to use while overseeing regulated and sensitive projects. In addition to improving your job prospects, PMP or PRINCE2 training helps you acquire proficiency in the global standard language of Project Management that registers with executives and fellow project managers. Prior to PMP or PRINCE2 training, there may be aspects that a candidate cannot clearly articulate, say, for instance, the project goals, the resources that are necessary, the assumptions being made, the risk taken, and the constraints stakeholders are operating under. PMP or PRINCE2 training provides a solid, time-tested framework that helps in effectively conveying all of these. Once a candidate has the proven ability to solve these problems, they automatically become preferable to an employer than a candidate that may have the skill but no proof on paper. Knowing the common Project management language makes it easier to communicate with clients and vendors on a level playing field. As long as human enterprise exists, Project Managers will remain in high demand. A survey conducted by Enterprise Agile Coach, Flow Trainer, and PMO Optimizer, Andrew Kallman, on Simplyhired.com, indicates that there are more project manager jobs in the market than there are for other management jobs. The Anderson Economic Group has predicted that each year, there will be 1.2 million project management roles that will be filled. The market is much stronger in the IT sector. A survey conducted by ComputerWorld shows that 40% of the IT executives have declared that they intend to hire Project management professionals. Between 2010 and 2020, 15.7 million new project management roles will be created globally, and the project management industry is slated to grow by $6.61 trillion. An expected 12% growth in demand for project management professionals will result in almost 6.2 million jobs by 2020.
Business services (2 million jobs) and Manufacturing (630,000 jobs) supported the greatest number of project management roles in 2010. Business services and healthcare are expected to lead job growth between 2010 and 2020. The healthcare industry is projected to increase project management roles by 30% — a higher growth rate than any current project intensive industry. The method used to handle projects is a constant change so much so that any company that is handling projects will need formal and standard project management methods to be applied. Added to this, the number of projects whether small or large is increasing by the day, regardless of any economic downturn. Taking these two reasons into account, the demands for project management professionals will continue to remain very high for a long time to come. On average, it takes 7 years in the profession to go from entry-level to managing large, complex projects. Taking into account all of the points mentioned above, a PMP or PRINCE2 certification is definitely worth considering. You can get your discounted training with a click for more information. Employers sift through resumes for hours to find the perfect candidate. It is not always easy as they get bucket loads of resumes that are completely irrelevant. In a dog-eat-dog employment market, it is important to set yourself apart from your peers and competitors, and the key to getting noticed with any of these two internationally recognized Project Management certification PMP and PRINCE2. About $2 billion revenue which yearly enters Nigeria earns from activities at Africa’s largest Information and Communications Technology (ICT) centre, Computer Village, Lagos, is currently under threat from counterfeiters. Counterfeiting has increased by almost 50 per cent within three years of a major raid by the Standards Organisation of Nigeria (SON) on the market, located at Otigba, in Ikeja. Besides the churning out of substandard products with their concomitant health and safety hazards, the nefarious activities also bleed the economy as manifest in the low volume of trade and revenue loss. Former Minister of Communications Technology, Dr. Omobola Johnson, at a Lagos forum shortly before leaving office in 2015, revealed that Computer Village contributes $2 billion (about N612 billion) yearly to the economy, noting that the fund comes mostly from phones and exploration of all sorts of software applications. Already, the World Bank has hinted that global economies lose between $600 billion and $700 billion yearly to counterfeiters and theft of intellectual property. The Guardian report indicated that the market for counterfeit and pirated products are of two genres – primary and secondary. At the primary market, according to a source within the market, consumers purchase counterfeit and pirated products believing they have purchased genuine articles. 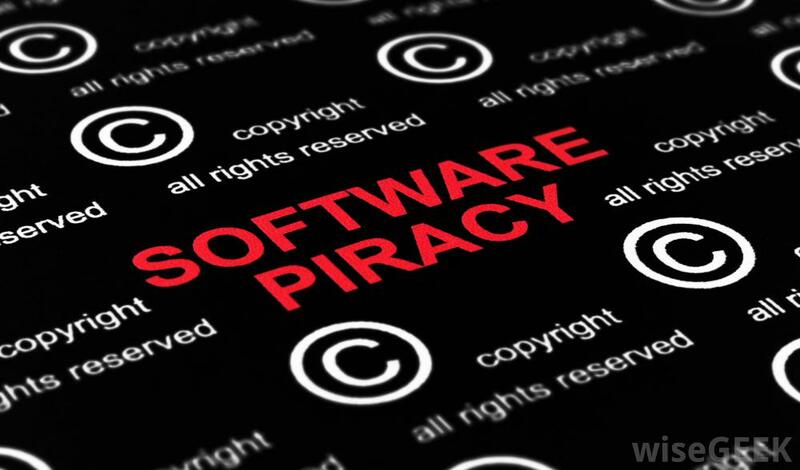 A further investigation showed that some brands of products, especially mobile phone categories like Samsung mobile, LG, Gionee, Wiko, Asus, Lenovo and Tecno suffer counterfeiting by as much as 10 to 25 per cent. Home appliances, including juicers, sandwich makers, iron, electric kettle, blenders, are affected by as much as 20 per cent. Other products prone to faking include printers, cartridges and ink. Confirming the development, the Managing Director of Tecno Nigeria, Chidi Okonwko, said the brand had been counterfeited by 10 per cent, stressing that some peddlers often display the fake products at different locations within the market precinct. “It is affecting a whole lot of things in this market. We hear of people complain about Poor Quality of Network Service (QoS), the activities of these phone fakers contribute a lot to that. So, users of such phones are losers, government is losing revenue. We are losing the market too as original equipment manufacturers and this spells doom for the market,” he stated. It was also learnt that most of these fake products come mostly from Asia, especially from Vietnam, Thailand, Taiwan and even China. The Nigerian Communications Commission (NCC), in 2015, disclosed that about 250 million substandard phones were being sold yearly in the country. The Executive Vice Chairman of the commission, Prof. Umar Danbatta, who gave the figure, then in an acting capacity, noted that the damaging impact of the products on the economy could not be quantified in socio-economic terms. Specifically, he lamented the adverse effects of the products on a broad spectrum of the national life, saying that the ugly development posed grave danger to the environment as well as the health, safety and privacy of the buyers. “Counterfeiting is a growing economic problem affecting a wide range of products in the ICT sector. Mobile phones are especially targeted with some 250 million counterfeits sold yearly. This number constitutes about 15 to 20 per cent of the global mobile phone market. “Apart from the obvious negative economic impact of this ugly trend on the manufacturers of genuine products, there are other consequences for operators, government and authorised dealers which include brand evaluation, loss of revenue, copyright and trademark infringement, unfair competition, loss of tax, cost of compliance with applicable national legislation, national security and loss of employment opportunities. The size and rapid growth of shadow banking has been one of the most talked-about issues since the 2007 – 2008 global financial crisis. According to the Financial Stability Board, the shadow banking sector grew from $27 trillion in 2002 to about $75 trillion in 2015. The FSB said the sector – which encompasses all loosely regulated financial intermediaries such as money market funds, private equity funds, hedge funds, securitization, mobile payment systems, online lending platforms, etc. – now accounts for up to 25 to 30 percent of the total financial system. The FSB was established in April 2009 during the London G20 summit in response to the financial crisis. Discussions around shadow banking have centred on the risks the sector poses to the financial stability of global economies. Unlike the traditional banking sector, most shadow banks do not take deposits and, hence, are subject to little or no regulatory requirements regarding capital, liquidity and cash reserves. 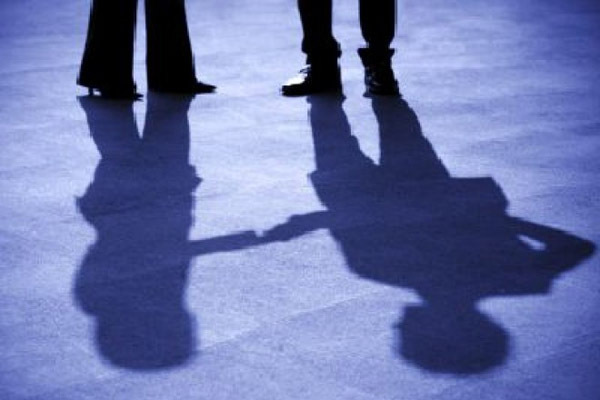 Shadow banks are also not covered by government deposit insurance agencies. As a result of this regulatory exclusion, shadow banks tend to take excessive investment risks in trying to maximize profit. But some of the funds they invest come from financiers such as banks, insurance companies, and pension funds. The modus operandi and ubiquity of shadow banking are considered to be a risk to the financial system by international finance institutions and regulators, the International Monetary Fund, the European Central Bank, and the US Federal Reserve. It is believed that when shadow banks come under selling pressures from panicky investors, akin to “bank runs” in mainstream banks, it may result in forced asset sales that rapidly erode asset value and investments. When shadow banks (in this case structured investment vehicles, securities lenders, and brokerages) began a “fire sale” of subprime mortgage-backed securities during the GFC, the ensuing depreciation in asset value was catastrophic for investors. Over the last decade and a half, the Nigerian financial services sector has developed into one of the largest and most sophisticated on the African continent. Total banking sector assets, for instance, has grown from about N2.5 trillion in 2000 to over N30 trillion in 2016; the insurance sector grew from about N25 billion in 2000 to about N800 billion in 2016. As for the pension industry, assets under management grew from less than N500 billion in 2004 to over N6 trillion in 2016. Notwithstanding the CBN’s disposition towards shadow banking in Nigeria, the industry has far more coverage, given the apex bank’s regulatory deficiencies and the country’s huge population without access to formal financial services. The operations of microfinance banks in Nigeria, for instance, have largely remained in the shadows, owing to the lack of regulatory resources to effectively supervise the industry. According to CBN data, there are about 1,000 microfinance banks scattered across the 36 states and the Federal Capital Territory. With the sheer number of these banks, the CBN is practically handicapped when it comes to exercising oversight functions and demanding compliance to prudential guidelines. This regulatory constraint has allowed most microfinance banks to operate as sub-optimal financial intermediaries, unlike their commercial banking counterparts. In 2010, the CBN revoked the licenses of over 200 microfinance banks after an audit revealed that most of the banks had breached regulatory requirements with high non-performing loans and inadequate capital reserves. Closely related with microfinance banks are pyramid schemes, popularly known as “miracle” or “wonder” banks, that spring up from time to time, promising to pay outlandish interests on periodic customer deposits. The Ponzi schemes operate until new deposits slow down and eventually dry up. In the past decade, some popular “wonder” banks include Nospecto Oil and Gas, Manpower, Pennywise, WealthBuilders, Treasure Fund, etc. The Mavrodi Mundial Moneybox (MMM), which originated from Russia, is a more recent example of one of these “miracle” banks. There have been numerous reports from around the country about people losing their savings, school fees, investments, etc owing to the crash of MMM. A case in point is that of Osakpamwan Amieomwanghi, a grocery store owner in Edo State, who invested N4 million in MMM just one month before the Ponzi scheme crashed in December last year. “It is painful because that was virtually all the money – capital and profit – that l had. I have become a prayer warrior for the scheme not to crash, as many had forecast. I can’t remember how many nights I couldn’t sleep because of the money. I am not a gambler and l hate gambling, but l can’t explain how l fell into this,” Amieomwanghi told The Daily Sun. According to a 2014 Enhancing Financial Access survey, about 37 million Nigerian adults, representing 40 percent of the adult population, are financially excluded. This huge unbanked population has encouraged the proliferation of informal financial intermediaries, such as rotating savings credit associations (ROSCAs), religious organizations, cooperative societies, and community welfare schemes. These unregulated institutions provide bank-like services such as savings, loans, insurance, and even mortgages for farmers, market women, civil servants, students, artisans, traders, etc. The operations of these informal financial institutions account for a significant part of Nigeria’s informal economy – which accounts for up to 35 percent of total GDP or about N40 trillion. The activities of shadow banks in Nigeria do not currently count as one of the main threats to the country’s financial system, as noted by the CBN. This is because the industry is still largely informal (with the exception of microfinance banks and derivatives); it is also small in size compared to mainstream financial institutions such as banks, pensions funds, insurance companies, etc. Nevertheless, shadow banks account for a significant part of Nigeria’s economy and their operations impact the lives of millions of people. For instance, many depositors have lost their savings by patronizing shoddy microfinance banks; and there are numerous cases of fraud and embezzlement in ROSCAs or cooperative societies. The Nigerian Deposit Insurance Corporation estimates that about three million Nigerians lost over N18 billion when MMM stopped making payments. Given that some of the shadows banks still provide benefits to the economy, the government must adopt better strategies for regulating the industry in order to protect innocent Nigerians and ensure economic stability. This can be done by increasing efforts targeted at formalizing the informal financial sector, improving supervision of microfinance banks, and reducing the unbanked population. The CBN is currently heading in this direction with efforts such as expanding mobile payments services, extending its cashless policy, and implementing simplified know-your-customer protocols, etc. But these policy actions still require substantial more coverage, suggesting that more attention should be directed at creating awareness and improving financial literacy. 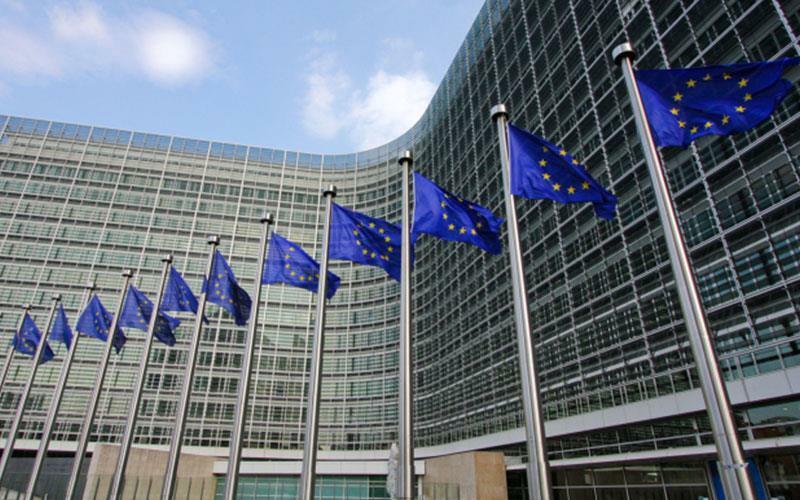 The European Union (EU) has had a lot of successes since it was founded on November 1, 1993, in Maastricht, The Netherlands. Although the body’s activities actually started as far back as the 1950s with a different nomenclature, it formerly became a union in 1993. Beginning as a pretty much amorphous geo-political entity with only six countries as members, it now covers a large portion of the European continent. It was founded upon numerous treaties and has undergone expansions that have taken it from the founding six member states to 28, a majority of the states in Europe. However, with the result of the Brexit, the number of member states is more accurately fixed at twenty-seven and half, pending when the negotiation of socio-economic and political relations between the EU and the United Kingdom is completed. There is also growing global apprehension that with the surprising Brexit outcome, the shocking election of Donald Trump as the United States president and other seeming nationalist positions being taken by more prosperous nations around the world, the era of globalisation may be ebbing out, leaving regional bodies like the EU in need of urgent strategic reforms to remain relevant. Conversely though, for its relationship with Africa, the EU has achieved quite a bit. From the EU observer missions to the various elections within the African continent which have tacitly forced many African dictators to play fairly during electioneering, to massive economic aids and cooperation, Europe has to a considerable extent shown commitment the well being of Africa. Apart from Nigeria which has put up an argument against some provisions of the Economic Partnership Agreement (EPA) between the EU and Africa, Caribbean and Pacific (ACP) countries, most of the other countries and regions have endorsed the EPA, paving the way for massive trading between them and Europe. The primary instrument for EU assistance is the European Development Fund (EDF). The current allocation to Nigeria from this global fund is around €512 million over the period 2014 to 2020. In addition, the EU provides funding from a number of other aid instruments such as humanitarian aid, support for civil society and assistance to fight terrorism. The three priority sectors for the current development EU assistance are: In the social sector, improving access to quality primary health care, the fight against malnutrition and measures to strengthen resilience and promote social protection. Included here are support for routine and polio immunization campaigns, activities to improve access to clean water and sanitation, and reinforce livelihoods and revenue generation in rural populations through food and nutrition security. As for the economy, the EU is helping to increase access to sustainable electricity, supporting efforts to improve conditions for economic growth with a focus on improving competitiveness and diversification, development of renewable energy and energy efficiency measures and strengthening public finance systems at state and federal levels, to create a stable environment for trade and investment activities. In the governance sector, there is continued support for action to strengthen democracy in Nigeria, the fight against corruption, the fight against trafficking of human beings, drugs and small arms, the reform of the justice system, measures to manage migration more efficiently and effectively, and capacity building for civil society organisations. All current European Union (EU) development cooperation activities in Nigeria are funded primarily through the allocation of EUR 689 million from the 10th European Development Fund (EDF) to the EU/Nigeria National Indicative Programme (NIP). The only 11th EDF operations that are already being implemented are those funded from the Bridging Facility. These are primarily an additional EUR 15 million towards the electoral process leading up to the elections in February 2015, an additional EUR 8.5 million towards the campaign to eradicate polio in Nigeria and EUR 1.5 million to provide psycho-social support and schools in a box to communities directly affected by Boko Haran violence in Borno and especially those in the Chibok area. Operations in Nigeria funded under the EU Instrument contributing to Stability and Peace (IcSP) formerly called the Instrument for Stability and from various EU Thematic Budget lines are also included as is EU funded humanitarian assistance in Nigeria. Also, last weekend, the EU announced that it has launched a €44 billion Africa economic development fund aimed at helping Nigeria and other African countries drive economic growth and development. The Vice President, EU, Digital Single Market, Andrus Ansip, said the EU is already developing a strategic framework for the implementation and disbursement of the fund, maintaining that the EU is also designing security measures to ensure the fund is effectively and efficiently disbursed. Ansip during a press briefing in Lagos explained that the fund which would be made available for disbursements in first quarter 2018 as credit money, was designed to help developing economies cover identified risks to attract foreign direct investments (FDIs). The fund is also going to help the digital industry in Nigeria which the EU sees as one of the areas with the strongest growth potential. According to him, the fund would go a long way in reducing the number of refugees who seek greener pastures in European countries, saying that in the last two years, Europe has experienced the greatest mass movement of people since the second World war. He pointed out that more than 1 million refugees and migrants have arrived in the EU, adding that EU has agreed on a range of measures to deal with the crisis. “This fund meant for supporting development in African countries will be beneficial to the European countries as you know today that most people in Africa prefer to leave African countries to seek greener pastures in European countries. We are faced with lots of refugee crisis. To tackle this menace, we can provide some help to those countries to help build their economies instead of seeking refuge in Europe,” he said. He said: “Our aim is to support digital development in Africa and also help to build healthy economies in developing countries. The EU is the biggest donor of digital development aids. We believe the fragment of digital aid is little in developing countries, this is where we are. He said digital development in Nigeria and in other African countries has grown rapidly, noting that internet penetration has grown to over 80 per cent where 100 per cent of Nigerians now has access to Internet services. “The development was much more rapid when compared to Europe. I believe in digital development for the bright future of Africa,” he said. He said funds are important for economic development, but stressed that ideas and how to cooperate with other African countries is even more critical to get more assistance of development funds. He said African countries must create the right environment for digital development, create an effective regulatory environment that would have a much bigger influence than funds in the future of African countries. Over 50 carefully curated network of high achieving female professionals and entrepreneurs gathered from the public sector, and business for the Abuja Leadership Series themed: “Leading in the Public Sector: Understanding and Unlocking the Opportunities in the Public Sector for Women’’ which held at Harrow Park Golf Club, Abuja from 9am-2pm. The event was hosted by the Inspired Women of Worth, an organisation which was launched in October 2010, in Johannesburg with its core mission to inspire and equip women for leadership in all aspects of life and in the community. The objectives of the Abuja Leadership Series, was to educate and equip professional women currently serving in or interested in serving in the public sector, politics or government in any capacity and to create a platform to give them access to a network of like-minded leaders for knowledge sharing and to leverage leadership and business opportunities. In a welcome speech titled: The Leadership Journey, Mrs. Udo Okonjo, CEO of Fine and Country, and also Founder, IWOW network noted that “A lot of interest debate has been generated on greater diversity, and the question of gender inclusiveness both globally and locally. As a result, there’s been a measured rise of highly skilled female professionals and managers into management and leadership positions in the private sector. However, in the Nigerian Federal Civil Service which is the largest employer of Labour in Nigeria, 76% of civil servants are men, and 24% are women, while women hold only approximately 14% of the total management level positions in the Nigerian public sector. Clearly, most senior leadership positions have been and remain the prerogative of men even in a population to where women make up approximately 49% of the population. The current administration under President Buhari, unfortunately has not brought any positive changes yet in increasing the involvement of more women at visible leadership positions with female ministers only representing 16% of his cabinet. She noted further that, Kenya and South Africa have government mandates for women’s representation on the boards of state-owned companies, while the private sector in Kenya, Morocco, Malawi, Nigeria and South Africa has integrated gender diversity into principles of good corporate governance. According to Udo Okonjo, equality for women is usually progress especially for the most vulnerable members of society. We need to think differently and invest in women leadership as the way to change Africa’s political and economic landscape. Certainly with the population of women in Nigeria, there’s no reason why we can’t have a bold vision to close the gap between men and women in leadership roles starting with the public sector where Government has a 100% stake and say. “The leadership journey starts with bold vision, and is usually triggered by exposure to great female mentors who have led and are leading the way and leaving doors open for other competent women to come through.” Women who aren’t afraid to ask, demand and do what it takes to be found at the table with other competent men. Udo Okonjo, who passionately believes that women are a treasure trove of possibilities, further encouraged the women present to begin to view the Leadership Series as a historic call to women everywhere to identify and take up leading roles in the public sector and other sectors of the economy. The very engaging keynote address was so passionately and articulately delivered by Former Ambassador, Dr. Kema Chikwe, who shared her journey and imminent rise in the public sector from her role as a diplomat, politician, teacher, author, publisher, wife, mother and grandmother, representing a diverse group of women in an emerging Nigerian society. She remarked that ‘’although certain cultural barriers has affected the role of women, it hasn’t however affected their ability to be intelligent, excellent, committed, hardworking, passionate and politically inclined to make a difference’. According to her, while society has defined roles for genders, the qualities which lead to success have not been defined or restricted to any gender. She reiterated the need for women to be resilient in their pursuit for a place in the public sector, sharing her inspiring story. Dr. Mrs. Chikwe further stated that ‘’if you have an ambition to get elected or get appointed, you must learn to participate in party activities and you have to design an approach that makes you unique in the competitive arena of politics’’. She advised ‘’that a successful career woman must be multi-talented, considerate and allocate time appropriately to the needs of the family. I believe a well-structured home is auto-piloted for success’’, while ending her session with the uplifting words on the power of resilience from the poem Christopher Columbus ‘’sail on, sail on and on and on’’. Also speaking at the series was Dr. Jumoke Oduwole, SSA to the President on Industry, Trade & Investment in the office of the Vice- President, who shared on the role of excellence, humility, diligence and consistency in transitioning from the private sector to the public sector. She shared the importance of seizing the moment, networking with other like-minded professionals along with the principles of preparing diligently until opportunity meets preparation to unlock purpose. She also remarked that confidence is a critical bedrock to success. Sophia Mbakwe, General Manager, Supply Chain Management, NNPC, shared her journey from her role in the private sector to now actively working with the government. She discussed the unending benefits and business opportunities available to women who desire or intend to do business with the government, emphasizing the need to have proper documentation and structure to be better positioned to access these opportunities. The meeting ended with a walk on water pledge, where women affirmed to believe in themselves and be the best version of themselves even as they attained excellence in their individual lives and earn a place in the public sector, thereby inspiring the people they aspire to lead. IWOW hosts various meetings giving professional and entrepreneurial women an opportunity to become leaders doing a world of good. The chairperson of the Abuja Leadership organising committee was Mrs. Binta Max Gbinije, MD, Stanbic Trustees. The event was proudly sponsored by Fine and Country International W.A, Giant Beverages Limited, ZARON, Guardian Woman, Xclamations, SAS Textiles, Tes Amour, Kene Rapu. 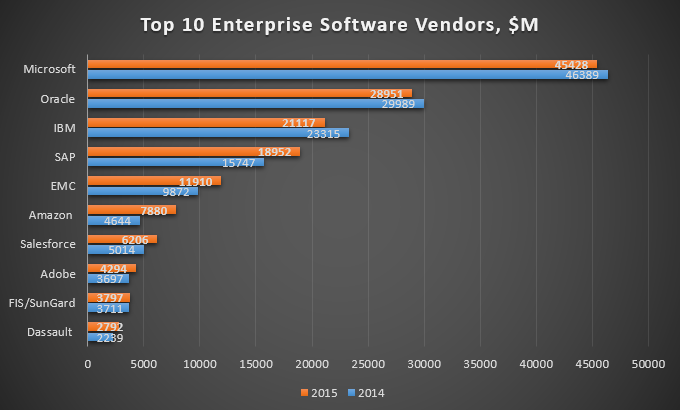 Last month, Salesforce.com made it onto the list of the top 10 enterprise software vendors for the first time. The arrival of a software-as-a-service provider among the elite says a lot about the growing importance of the cloud in business applications. The rise of cloud and the utility model represents one of the biggest shifts in the way enterprise applications are written, deployed and consumed. The global public cloud market will be worth $191bn by 2020, up from $58bn in 2013, with cloud applications accounting for $133bn, according to Forrester. Cloud technologies can also been seen as the biggest threat to the established order of on-premise software and the vendors that supply it. “It’s sort of scary for them because you can see a world in which people say, ‘I’m going to buy order management from him, item master management from him, and vendor management from him and I will make it all work together, or the semantic web will’,” Forrester Research VP and principal analyst George Lawrie told ZDNet. To counter the growing appetite for cloud services, one of the approaches employed by big enterprise software vendors is to work with firms such as Accenture, Deloitte, Infosys and Wipro, according to Lawrie. “‘Why don’t you host it? Why don’t you provide a kind of managed service — a complete turnkey SAP or Oracle, or whatever it is — and we’ll call that cloud’,” he said. A second approach is the one adopted by SAP with Business ByDesign. “They’re saying, ‘No, no, no — this is a native cloud application. We’ve written it from the ground up’. But they’ve been really slow to get there,” Lawrie said. The shift to the cloud and the utility model has caught out not only vendors, but also big users of on-premise software, according to researcher Simon Wardley at CSC’s Leading Edge Forum. “When we talk about enterprise IT and all the changes going on, and ERP and CRM becoming more of a commodity provided by utility services, all of these are pretty predictable changes that have been known about for some time,” he said. “It’s a process from the novel and new, to the uncharted, to the commodity, the utility, the industrialised,” added Wardley. 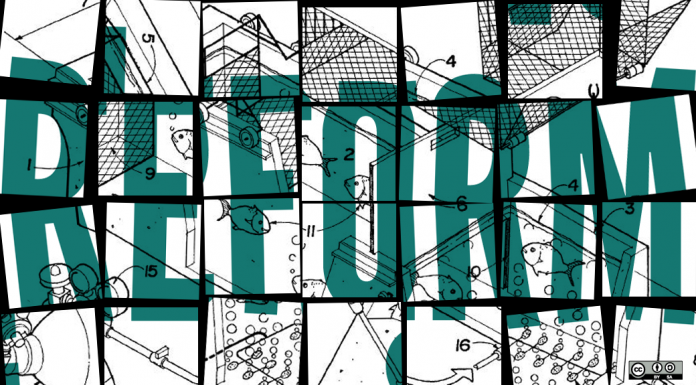 Research into strategy that Wardley conducted among a group of 150 companies highlighted shortcomings in organisations’ grasp of fundamental changes in enterprise software. “They have great big strategy documents full of how, what and when, and very little why. The why, when you break it down, is normally 60 to 70 percent of what other people are doing — like cloud, big data and social media. They’re acting in that environment without actually understanding the landscape,” he said. That lack of insight causes obvious issues in the application of technology for things like cloud and the shift from product to utility. “We’ve had lots of time to prepare for these changes. By the early to mid-2000s the signals were screaming that this change was going to occur, but still companies were unprepared,” Wardley said. Utilities such as SaaS have their place, but they are not going to replace everything, according to Ovum principal analyst Roy Illsley. “It is probably eventually going to get to potentially 60 to 70 percent of the market — that’s what most people expect,” he said. But SaaS is also having a wider impact, by changing perceptions about the need for tailor-made applications. “SaaS has revolutionised things because in some aspects companies are quite happy to say, ‘You know what? We need to have that app bespoke. But we can have that as standard, delivered from the cloud. That’s where ServiceNow and Salesforce have made a killing,” said Illsley. Forrester’s George Lawrie says people are typically buying the non-differentiated systems of record and building systems of interaction. “Those systems of interaction are the ones that have the consumerisation and which are differentiated for their audience,” he said. However, businesses may be fooling themselves about the significance of the customisations they are undertaking, according to CSC’s Simon Wardley. He once asked how many of a group of 100 CIOs had ERP. “One hundred hands went up. Then I said, ‘Well, it’s commodity if you’ve all got it’. Two arms shot up saying, ‘No, no, it’s not commodity’ because of their customisations, which made it special,” Wardley said. This group of CIOs was spending billions of dollars a year in total customising pretty much the same systems in almost identical ways, creating no differential value for any of them, said Wardley. According to Ovum’s Roy Illsley, the effect of companies like Salesforce.com has been to change what businesses focus resources on. They are now often happy to adopt a standard SaaS CRM system, for example. “It’s the same as everybody else’s. It’s not the tail wagging the dog like it used to be,” he said. It’s not the app that makes a difference — it’s what a company does that rivals can’t see and copy, Illsley added. Nevertheless, the attractions of cloud-based applications may not be enough to trump business inertia, according to CSC’s Simon Wardley. “Of course existing consumers will often have resistance to that change for numerous reasons — existing processes, political capital. There are often all sorts of inertia barriers,” he said. According to Wardley, inertia is inevitable among user organisations as well as among vendors. “Unfortunately, you can’t have volume operations customised for you and commodity provided with non-commodity components. It doesn’t work,” said Wardley. But there can be sounder business reasons for sticking with traditional on-premise approaches, according to Ovum’s Roy Illsley. “There are still some traditional companies that use apps running specifically for their business purposes. So if you’re a bank, your core banking applications are almost certainly still running on a mainframe,” he said. “They’re probably running things in a slightly different way because they’re a newer organisation that has grown up without having all this legacy stuff that works,” said Illsley. However, elements of ERP are breaking away and being used by businesses as discrete software components. “Because [companies] do want to be connected but actually, as long as they can collaborate and see and share information, it doesn’t need to be a monolithic great big app that runs absolutely everything,” Illsley said. As examples, he cited airlines using iPads to locate passengers without printing out reams of paper, and restaurants using iPads for bookings, orders and recording customer names. “The mobility aspect is being continually rolled out and that needs the apps to work in a different way because you can’t necessarily have a full ERP capability running on an iPad. You’re going to have to do something slightly differently,” Illsley said. The increasing provision of services to the device is why mobility and the demand for real-time information are two of the big enterprise software trends, along with the cloud. “The cloud has chipped away, SaaS has chipped away at elements of enterprise apps and you see elements of it twisting off into cloud and SaaS-like operations,” Illsley said. The rippling impact of consumerisation has affected not only the nature of mobile applications, but also the whole look and feel of enterprise software, according to Forrester’s George Lawrie. “If it isn’t shiny and iPady, they don’t want to use it. So that consumerisation has driven another leap in the way the vendors need to provide the applications,” he said. “As soon as you do that, you’ve got to have a different kind of infrastructure because you now don’t know how many hits you are going to get on your system,” said Lawrie. Just like consumer applications, business software has to be intuitive and immediately usable. “You can’t tell people they’ve got to go on a week’s course and you can’t keep telling them they’re wrong. Which has typically been the way with enterprise systems: if anything doesn’t work, it’s your fault,” Lawrie said. What has also changed in organisations is there’s less time and resources for learning, Ovum’s Roy Illsley said. The underlying trend building up across all applications is that software must not only do its job and be easy to use, but it must also provide collaboration and sharing, and be simple to deploy and support — and, where possible, user self-supporting, Illsley said. “A lot more investment has been in either how it looks and it feels for the people who use it and what they get out of it, and into making it easier to manage from a back-end perspective, so that the cost of using the app is coming down,” he said. The drive for software cost reduction and ease of use, both for business consumers of IT and tech staff, is fuelling a drive for greater automation, according to Forrester’s George Lawrie. “There’s an extent to which this stuff gets automated. We’ve seen that with the virtualisation of servers and networks and storage. You can spin up a new server out of your datacentre without you having to do any manual work at all,” he said. The second aspect of this trend is increasing self-service features for end users. “All those days when they used to say, ‘Can you do a report for me? No. Do your own report. Here’s the data. Here’s the tool. Have at it,” Lawrie said. As well as breaking applications into blocks, consumerisation is also leading to changes in business process management and rules, so where rules and processes were once embedded in code, that’s increasingly no longer the case. “There will be business rules — for discounts, for example — that would never be in the program now. They’d always be in a table that users can maintain easily themselves. “So you want to change the policy? There’s the table. Change it. You want to change the process? We’re going to do the credit check before we ship instead of when we take the order. There you are, you can do it. It’s not an IT thing,” Lawrie said. That philosophy is also making itself felt in the embedding of analytics into applications, both in mobile and on-premise enterprise software. According to Lawrie, those analytics can involve real heavy lifting, mathematics, computation, and some exploration of correlations. “Increasingly, the idea is to throw data into a big lake and bring the analytic to the data, not the other way round. When we say analytic we mean, ‘Let’s take all these observations and let’s see what correlates to something else’ — the unknown-unknown problem,” he said. Retailers have been doing these types of analytics for years offline, but now they are becoming more common thanks to technologies such as in-memory computing. “You’re beginning to see people doing this inline. So at any utility or telecoms company, the person who is probably the lowest-paid person — the customer service person — will have in front of them something that estimates your lifetime value to that company,” Lawrie said. Ovum’s Roy Illsley cites retail as an area that’s increasingly seeing the value of being able to deliver real-time dynamic price updates to stores. “Traditionally, price updates were something that you run overnight. You produce a great big file and send it out next morning to the store,” he said. Because the apps can take account of external events, decisions can be made faster — and the infrastructure now can support that delivery of information. The app and the infrastructure have come together to enable the real-time delivery. “If you look at what’s happened in the infrastructure, you’ve gone from the monolithic app running on a physical server in a datacentre with one app per server architecture,” Illsley said.